You’ll need to get a sports mouth guard specifically for braces, otherwise your child could experience dental trauma from having a mouth guard get caught on their braces. Regular sports guards are also not able to adapt with your child’s teeth as they move into optimal alignment. To prevent expensive emergency tooth repair procedures and damaged braces, we recommend getting a special mouth guard that’s created by an experienced Gahanna family dentist to safely fit over your child’s braces. In this blog post, we will teach you how to choose the right sports mouth guard for braces. Talk to your child’s sports coach. Your child’s sports coach will be able to tell you what mouth guards other players have used in the past to prevent sports dental injuries. The coach will also be able to tell you what kinds of injuries are common for the sport your child plays and how these sports injuries happen. Why spend time trying to do all the research yourself when you can ask someone who has years of experience coaching athletes? Determine how often your child will play contact sports. If your child will be playing or practicing contact sports on a regular basis, you may want to invest in a custom-made mouth guard. While getting a mouth guard customized to your child’s bite is more expensive, it is also safer. A stock sports mouth guard that you can buy from the store can snag on your child’s braces, causing significant tooth damage. Don’t let your child’s sports season become interrupted by an emergency visit to a sports injury dentist. If your child occasionally plays sports, you may just want to get a boil and bite mouth guard. Boil and bite mouth guards conform to your child’s teeth for a fit that isn’t too loose or tight. We don’t recommend the basic mouth guards that are “one size fits all” for orthodontic patients. This is because if the fit is too tight, it can interfere with the braces’ ability to move teeth into proper alignment. Find a mouth guard that’s safe and comfortable. For the best fitting braces mouth guard, you may want to invest in one that is custom-made by a sports dentist. A sports dentist will be able to create a mouth guard with a slimmer design that won’t trigger your child’s gag reflex. Vacuum or laminate-pressed mouth guards are fitted in a dental office or lab using dental impressions. The American Dental Association recommends mouth guards that allow players to breathe, speak, and drink comfortably. However, many generic braces mouth guards are rubbery and bulky, which can trigger your child’s gag reflex. When your child is trying to focus on playing their best game, you want to make sure they’re not distracted by an ill-fitting mouth guard. “One size fits all” mouth guards are also too loose to offer any real protection to your child’s teeth and braces. If you are interested in learning more about getting a mouth guard for braces or other sports dentistry services, please feel free to call our Gahanna sports dentistry at (614) 475-7580. Dr. 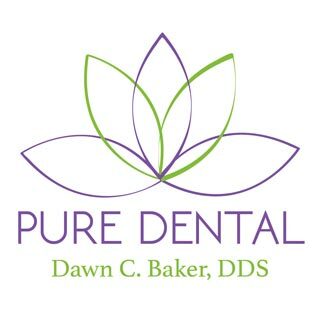 Dawn Baker DDS at Pure Dental is dedicated to helping patients protect teeth from sports injuries.